I can’t express how fun it is for me to see my designs on real life surfaces. I just received my package of sample Hallmark cards. They licensed a design last May. It’ll be on the market soon. 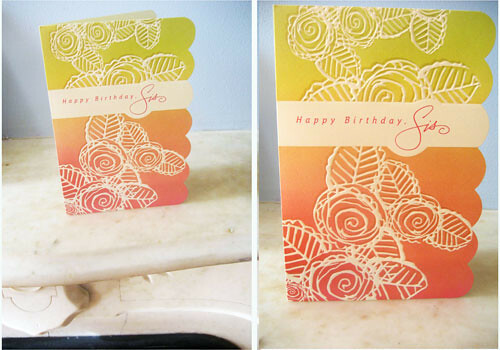 It’s a “happy birthday sis” card with embossed lacy flower and a scalloped edge. I also had some samples made of my starlet pattern. 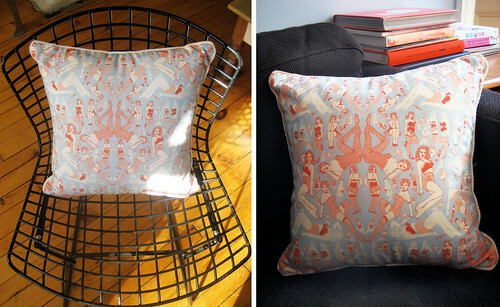 Spoonflower printed up a nice run for me to make into cushions for my chair but I wanted to show something with that same design for the trade show I’m doing in a week! So I had some purses and a throw cushion made. I have surface patterns on the brain this week so expect a sneak peek at lots of new work! Hope you all had a lovely vacation. XO. New limited edition giclée prints on etsy in time for Valentine’s Day! Thanks Jess!!! I think Ill bring the little purse to the show. Thanks so much Lindsay!! It’s so fun seeing my designs on things. Just checked your blog and shop…love both! eep! both look awesome!!! i love little purses. WOW! Those are gorgeous! Thanks so much for telling me about spoonflower, I’ve never heard of them. 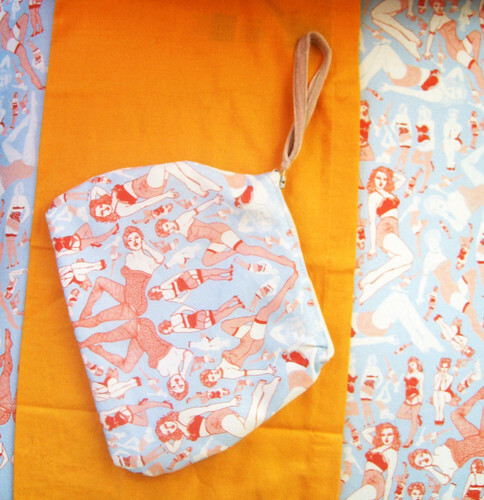 I can’t wait to have some fabric printed, for makool! oh great!!! I can’t wait to see what you do for Makool!!! I’m sure it’ll be fantastic. Spoonflower is so great. I love them! Beautiful! So exciting to see your lovely work made into products! thank you so much Su Ling!!! That is SO cool about the Hallmark cards. You are a star! awww thanks Abbey!! Not quite a star but thrilled to get my work out there on things! Thanks so much for your support and sweet compliment…..
Other products can be found by clicking through my shop links. Soon I’ll have t-shirts out with 2k by gingham and a journal out with Barnes&Noble…hmmm what else can I tell you….oh, I designed a photo book for American Greetings and some Hallmark cards all coming soon. Please stay tuned here on maquette and I will announce everything! Or check back in my shop, I’ll link to everything.